Named after the sport which instigates the condition, “hunter’s bump”, also know as ‘jumper’s bump’ is a painful pelvic condition in your horse that may cause gait abnormalities and can affect performance. It most often occurs in jumping horses, hunters, and steeplechasers. A ‘Hunter’s Bump’ is a protrusion of the tuber sacrale. This is the area of the hip that will appear elevated along the lower part of your horse’s back, just above the croup. Technically, this is a subluxation of the sacroiliac joint, which may involve injury to the ligaments securing the pelvis and the spine. Once this happens, the ilium (one side of the pelvis) can shift out of place, resulting in the distinguishing ‘bump’. This uneven hip is sometimes referred to as a ‘dropped’ hip. This injury is commonly the result of previous and repetitive trauma to the sacroiliac joint, rather than a single precipitating incident, though it is usually one event that pushes it over the edge. Best viewed from behind during gait, your horse will tend to be very stiff in the hindquarters, ‘unload’ weight on the affected side, display a shortened stride on the affected hind limb, and may resist movement in general. Symptoms may also manifest in areas far from the affected area. 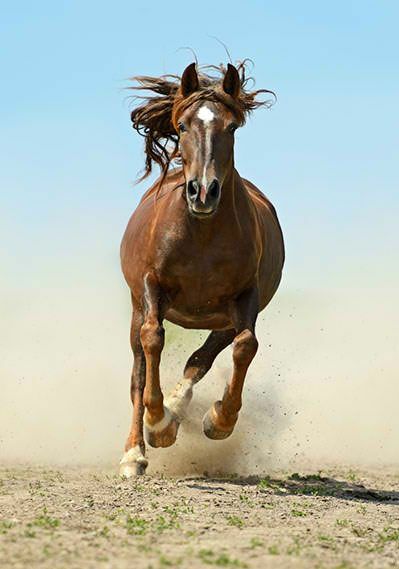 Your horse may display altered neck movements, and oppose turning in one direction or another. There may be evidence of pain at the poll, as well as resistance to take the bit, or even wear a halter. When diagnosed early, treatment for a ‘hunter’s bump’ can be highly effective. Stall-rest for several weeks is indicated to allow time for the ligaments to heal and scarring to occur to provide stability. Anti-inflammatories and muscle relaxants are often prescribed by your vet to reduce spasm and manage inflammatory processes. Chiropractic management can help re-align the pelvis and relieve neurologic interference. Additionally, integrative treatments including acupuncture and massage can be highly effective in controlling pain and supporting the healing process. Recovery will depend on accurate diagnosis, degree of injury and speed and quality of treatment. Remember the importance of proper conditioning, weight management and stable footing. Above all, become familiar with your horse. Learn their behaviors, and observe when they’re communicating that something’s wrong. If you suspect something is amiss, don’t delay. Help is available. Have a comment? Join the conversation!